Arizona – With Senator John McCain’s failing health due to brain cancer, many have wondered what will happen to the US Senate seat that he has held since 1986. If his family, friends and allies have their way, it will stay close to home with Cindy McCain. McCain’s wife Cindy is the rumored likely pick for Gov. Ducey (R-AZ) to fill the remainder of her husband’s 6-year term. Had the Senator resigned due to his terminal illness, a special election would have been held but after June 1, an appointee will serve through 2022. 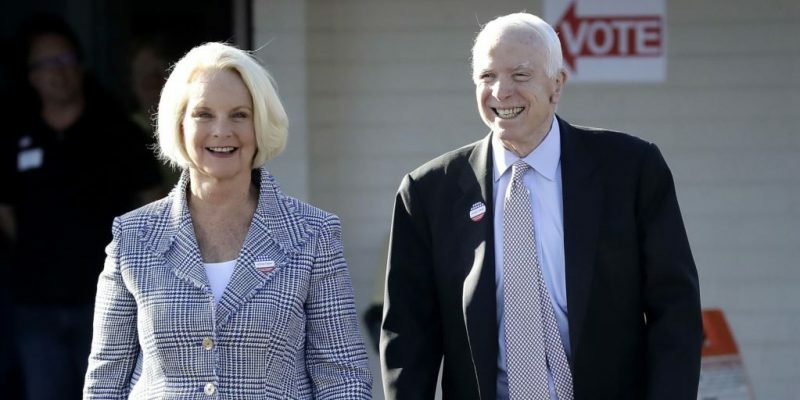 Cindy McCain maintains a wealth of political and business experience, serving as one of her husband’s closest advisers and advocates. The former Cindy Hensley took over her father’s financial and political interests which were invaluable to McCain’s early political career. The move would not be unprecedented with more than a half dozen wives of sitting Senators succeeding their husbands over the past century. In fact, Louisiana’s own Huey Long was succeeded by his wife Rose after his assassination in 1935. She won a special election the following year. While they may share a last name, there has been some debate over their differences in politics. In 2010, Cindy accompanied her daughter in supporting gay rights. In recent years, Senator John McCain has become known as one of candidate and President Trump’s biggest critics. He shocked political analysts on both sides of the aisle by voting twice to save Obamacare in 2017. Love him or hate him, his presence will likely continue to be felt in the halls of the US Senate for several more years to come.